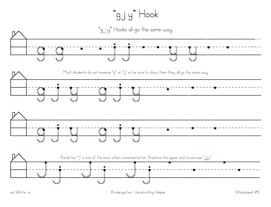 The teacher will know when the students have mastered this skill, because they will be able to write all the 8 Beginning Strokes from dictation. 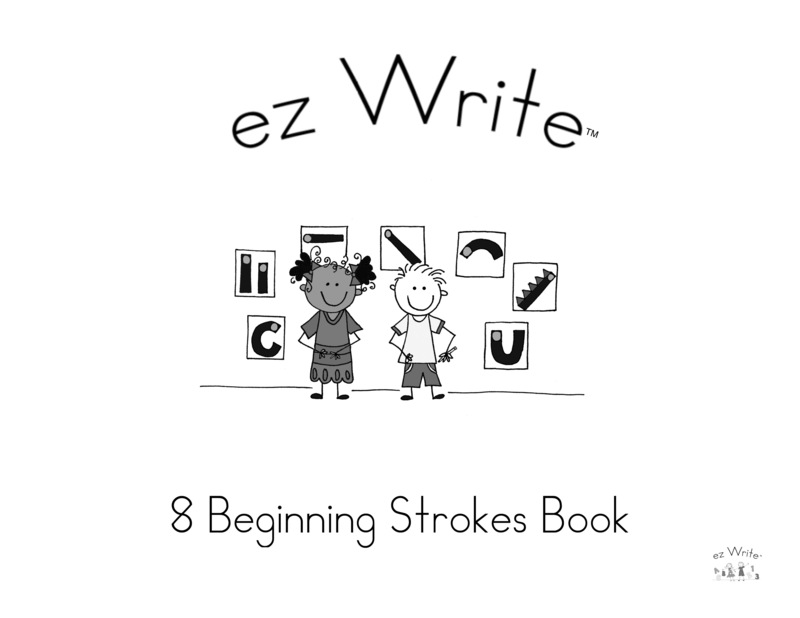 The ez Write formation instructions use these 8 strokes to teach the students how to form the different letters and numbers. 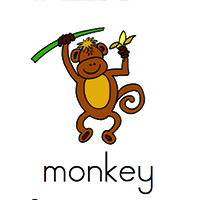 Reversing letters is a common problem with elementary students, but teaching to “Muscle Memory” helps eliminate reversals. 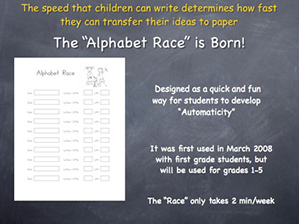 Automaticity is the ability of students to retrieve and produce letters automatically. 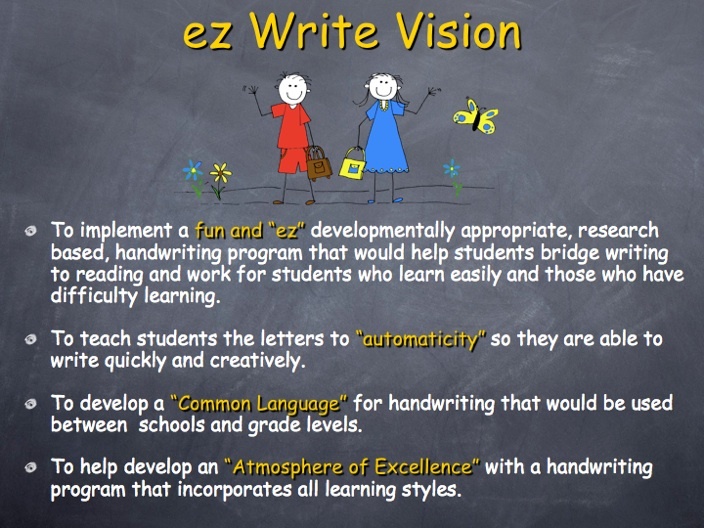 The ez Write Program uses the “Alphabet Race” in grades 1-5 to help students increase their Letters Per Minute by writing the alphabet as quickly as they can. 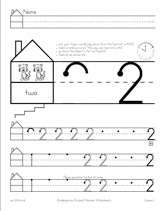 When letter production is automatic, memory space is freed up for higher level composing skills and students are able to get their thoughts on paper quicker and often in more creative ways. 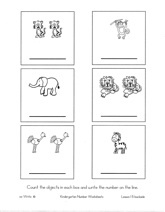 Instead of alphabetical order, letters are taught in groupings by the beginning stroke used to create them. 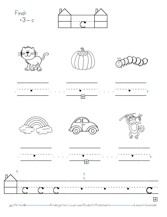 This helps the students code the letters to memory, which is a prerequisite to learning to read. The students whisper the letter sound as they write the letters to reinforce this process. High frequency words are used though out the program to produce a strong connection to reading. 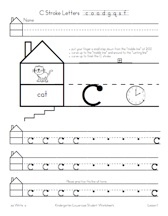 Phonics, word families, rhyming, alliteration and sentence structure are all incorporated in the ez Write worksheets. 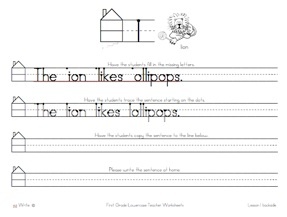 Worksheets all have an application of the skill taught on the backside of the worksheet. 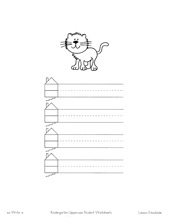 The first and second grade worksheets offer differentiated learning for different student ability levels and encourage creative writing. All four channels into the brain: seeing, saying, hearing and writing are used in the lessons to make ez Write effective. Activities can take place in art, music and physical education to reinforce the strokes and create continuity throughout the school. 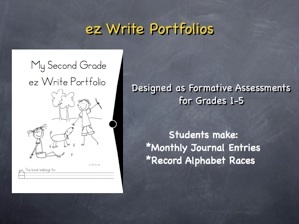 ez Write also has a strong school/home connection built into the program. ez Write activities done in Physical Education class. “mini” book sent home for parents. When students are taught how to form letters, they keep their pencils on the paper as much as possible to minimize repositioning. This makes the transition to cursive smooth. 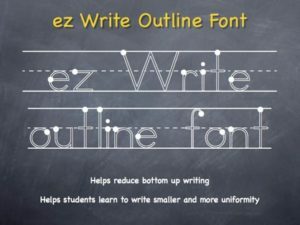 The ez Write program was written using an outline font specifically designed to make handwriting easy, fun, and legible. 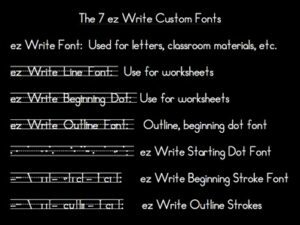 There are 7 different fonts for teacher and classroom use. 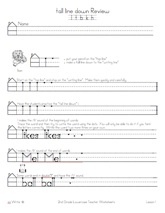 These fonts come on the Teacher Resource CD for school and home use. 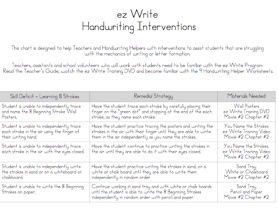 Classroom teachers and volunteers are trained using the ez Write Training DVD, Handwriting Helper Guide, and learn to use the Handwriting Helper Worksheets to do quick interventions to help students correct handwriting errors.